Francis Bacon was not wrong when he proclaimed that “knowledge is power!” However beyond and more appreciable than power is a phenomenon known as AUTHORITY. Power and Authority are related but they are not the same. Power has to do with the ability or capacity to carry out a certain action. For instance, to carry a gun and shoot is what most people can do but not everybody has the authority to do so as one has to be licensed. The old man in our story was able to fix the engine and consequently charged so much money from the point of view of his authority in that area of expertise. It is the same way someone could pay so much to consult a doctor only to be told by the doctor to simply drink water and take adequate rest as a remedy for a particular discomfort. From these, we understand that authority has to do with the legitimate right to exercise power. Another important fact is that authority is usually given or accorded but the same cannot be said of power; power is usually taken and often by force. One can have power without authority, but anyone that has authority has power too. 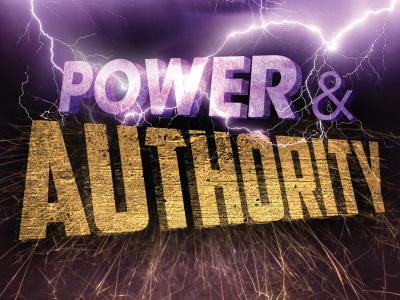 In the First Reading (Isaiah 22:19-23) we can see the tension between power and authority as exemplified in the personalities of Shebna and Eliakim. From the previous verses we understand that Shebna was a master of the household of the king but he had no right (Is.22:16). Hence he could have assumed power by force not by authority. On account of this, he became overbearing, arrogant and self-conceited. In fact, he became a disgrace to the master’s house (Isa.22:18). Based on the nature of the source and nature of his leadership, God designed his replacement with Eliakim. Now Eliakim is a name which means “my God will raise up”. By implication God raised up His own servant for the house of the king. One on whom he invested authority to become not just a servant but a father to the inhabitants of Jerusalem and to the house of Judah. Furthermore, he is also given the KEY (Isaiah 22:22) to the house of David and that means entrances and exits are under him. An active mind would really wonder why God had to concern himself with the administration of the household of the King. The answer to this can be seen written large in the event that took place at Caesarea Philippi shown in the Gospel Reading of today (Matt.16:13-20). So we can say the event of Eliakim’s elevation prefigured that of Peter. We shall examine this shortly. The Gospel of today opens up around an unusual location; the district of Caesarea Philippi which then was a Roman city. One significant thing about the area is that the city is surrounded by rocks with Mount Hermon towering with a prominent peak. Our Lord chose this location to ask his disciples one of the most significant questions ever and one that even resonates with us in our day and age. “Who do men say that the Son of Man is?” The variety of answers showed the different ways people conceived our Lord Jesus Christ. For some said he was John the Baptist (the forerunner of the Messiah), some said Elijah others said Jeremiah or one of the prophets. It is good to note that the people they likened our Lord Jesus Christ with were reputable were people with reputable credentials. However they were still wrong and then our Lord asked them a question that looked like the first, but differs in the suffix. To them he asked: “But who do you say that I am?” The difference is clear; our Lord moved from “Who the Son of Man is” to “Who I am”. This will not be the only place we shall encounter the “I AM” designation. In the Book of Exodus (Ex.3:13-14) when Moses asked God His name should the people ask him, God said “I AM WHO I AM !” Later on, our Lord will be making the “I AM” statements (I am the good shepherd, I am the Light of the World, I am the bread, I am the living water etc.). We can actually say that the answer can be found in the question. Peter thus spoke up (we know him to be a very spontaneous person) and declared: “You are the Christ, the Son of the living God”. Christ (from the Greek “Christos” means Anointed one) and it is equivalent to the Hebrew “Messiah” which means Saviour. Whatever you call a thing or person is just what the thing or person becomes. For some people in our day and age, God is their protector so apart from protection God does not exist. For others God is their provider so when there is no issue of provision God ceases to exist. When God told Moses in Exodus that His name is I AM…. It was more or less an open cheque. So one can fill as many things as what one desires from God. Today we still need to answer the question individually. Who do you say Jesus Christ is in your life? “You are Peter and on this Rock I will build my Church and the gates of hades shall not prevail against it. I will give you the keys of the kingdom heaven, and whatever you bind on earth shall be bound in heaven and whatever you lose on earth shall be loosed in heaven”. We have established earlier that the region was surrounded by rocks and there before them was a great rock. Our Lord could have pointed at the massive rock while telling Peter that on this rock I shall build my Church. The ideal Rock is Jesus Christ; God the Son (Psalm 18:2). Peter got the designation as rock as he is to share in the rock-ness of our Lord Jesus Christ. Hence it was a privilege and an authority which he merited by virtue of the confession he made on the basis of that infused knowledge he got from God; knowledge here begs authority. He was subsequently promised the keys to the kingdom of heaven. “Where the keys given to him there and then?” No! Then where and when? Peter have received the keys after the resurrection of our Lord Jesus Christ; just by the sea of Galilee when our Lord asked him three times do you love me and he affirmed and he was given the mandate to feed and tend the sheep and the lamb; that is the Church (John 21:15). We are convinced that the keys came at the moment when the question about love was asked because God is love (1 Jn.4:8). On the strength of Peter’s confession based on that divinely infused knowledge, he was given a rare function of being an apostolic gate keeper. No doubt, our Lord fulfilled all the promises he made at Caesarea Philippi. He built his Church and also gave the keys to Peter (represented by two significant keys in Christian art). As Peter would not always be around for all ages, the key has to be preserved and that gave rise to the office of the Pope the successor of St. Peter. This office that has been in existence since the apostolic times has endured till date and the Church has continued also to exist despite oppositions and threats as our Lord indicated at Caesarea Philippi. On a day like this, it will be very fitting for us to offer heartfelt prayers for the Pope as well as for the well-being of the Church founded by our Lord Jesus Christ. It may be inconclusive not to mention how we go about power and authority in our day and age. The rejection and demotion of Shebna in the First Reading should be more than instructive for us. From the verses before the ones we read today, we understand that he was reckless and selfish with the power he acquired. This situation has not really changed in our times. Many people who are aspiring to different positions of leadership are doing so based on the perceived gains and self-enrichment involved. These are no doubt the Shebnas of our time and like their predecessor, they may be disgraced. 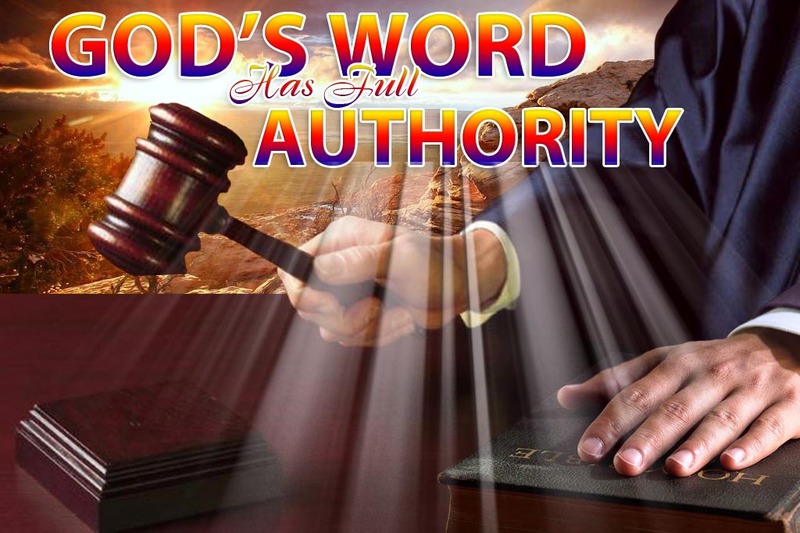 St. Paul was very clear on the fact that all authority comes from God (Romans 13:1) those in authority should also be conscious and respectful of the fact that their positions are God-given and should thus carry out their activities with total fear of God and commitment to service. May you have a blessed Sunday and a wonderful week ahead. I also keep you in my prayers as today I mark exactly twelve years as a Roman Catholic Priest. Remain hallowed!